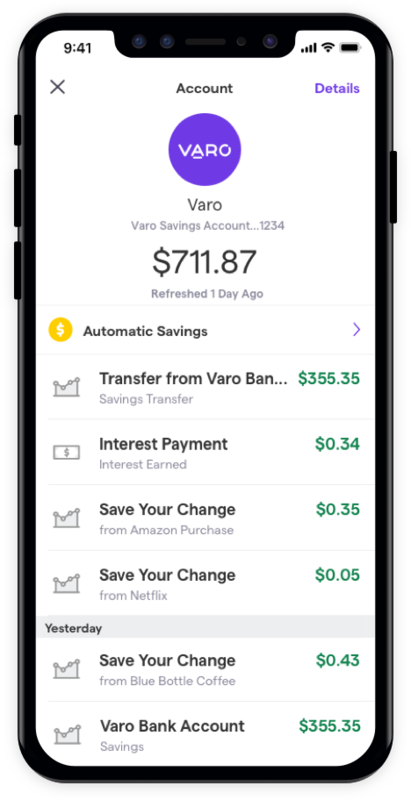 Varo Mobile Banking—No Fees. High-yield Savings. Free ATMs. Full-service banking with no fees. We’ll never sell your data, and we keep it safe with powerful 256-bit AES encryption, access control, secure processes, and audits. Your Utah-based Varo Customer Service team is available 7 days a week. Stop paying account fees. Apply for a Varo Bank Account today! 1Faster access to funds is based on comparison of traditional banking policies and deposit of paper checks from employers and government agencies versus deposits made electronically. Direct deposit and earlier availability of funds is subject to payer’s support of the feature and timing of payer’s funding. 2You must notify your financial institution immediately of any unauthorized use. ^The Varo Bank Account is a checkless checking account. Varo offers full-service bank accounts, but we do not offer checks. Bank Account Services provided by The Bancorp Bank. Your deposits are FDIC insured to at least $250,000 through The Bancorp Bank; Member FDIC. The Varo Visa Debit Card is issued by The Bancorp Bank pursuant to a license from Visa U.S.A. Inc and may be used everywhere Visa debit cards are accepted. Apple, the Apple logo, and iPhone are trademarks of Apple Inc., registered in the U.S. and other countries. Apple Pay is a trademark of Apple Inc.
©2019 Google LLC All rights reserved. Google Play is a trademark of Google LLC. ©2019 Green Dot Corporation. Green Dot is a registered trademark of Green Dot Corporation. All trademarks and brand names belong to their respective owners. Use of these trademarks and brand names do not represent endorsement by or association with this program. 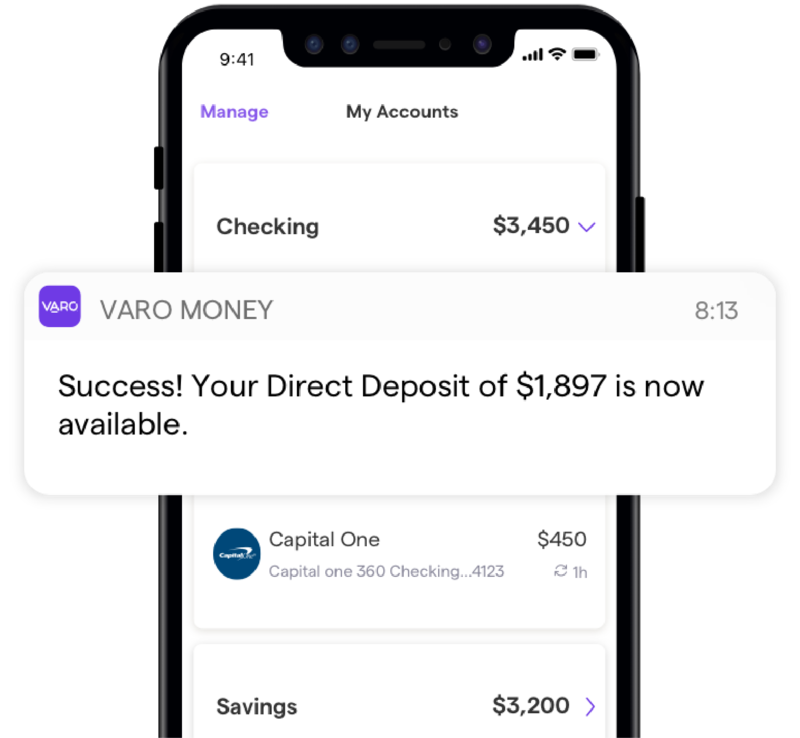 See the Varo Bank Account Agreement for details on deposits, bills, transfers, and withdrawals including dollar limits, frequency and funds availability policy, i.e. how much money you can move per transaction, how many times, and how long it takes for funds to be available.